Derrick Amaral's had 14 treatments with the Japanese HAL robot. It uses his brain waves to allow him to control its movement. Derrik Amaral broke his neck in four places and was paralyzed in a car wreck. “Doctors concluded that I was never going to walk again or even breathe on my own,” he said. Five years later, he can take small steps with a walker. He’s also used wearable technology that helps take steps for him. But he said it wasn’t until his first treatment with what’s called a Hybrid Assistive Limb, or HAL, that he felt like he was walking. “Unlike other devices, I’m actually driving the HAL. That means my brain is sending the signals and the robot is giving me that extra little push that I need and it’s making me stronger at the same time,” he said. 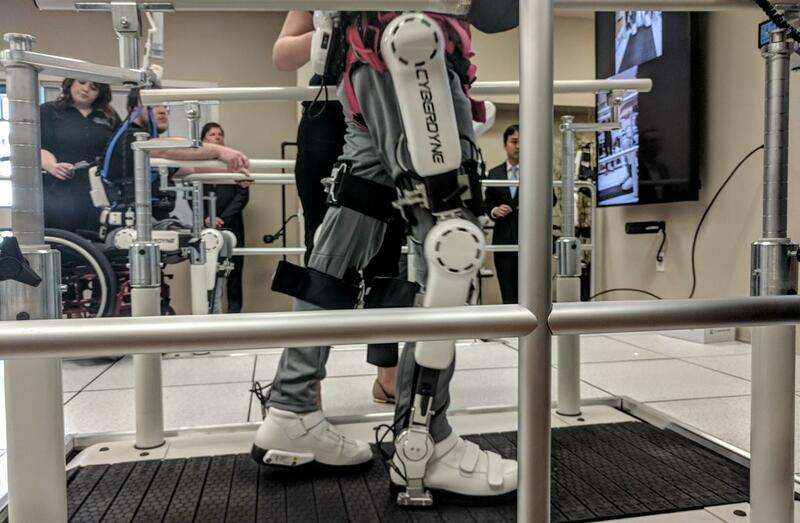 HAL’s like an exoskeleton that helps patients walk on a treadmill to build up strength. The machine attaches nodes to the patient’s skin that reacts to electric impulses sent by their brain. A computer collects the information and a camera keeps track of their movements. Right now, patients have to make the machine move with more intention than those who haven’t had a spinal injury. Amaral said he really has to “think hard.” But, the goal is to have patients eventually walk out of the hospital almost entirely unencumbered. Brooks is bringing eight of the Japanese machines to Jacksonville, the first place in the nation to get them. They’ll be rolled into the hospital’s existing Cybernic Treatment Center. HAL is the brainchild of Dr. Yoshiyuki Sankai, CEO of Cyberdyn and a professor at the University of Tsukuba. He began working on the technology in the early 1990s. Jacksonville Mayor Lenny Curry told reporters the technology represents a real game changer for people in need, but also proves Jacksonville is a destination for the state’s medical tourism. “It speaks to the corporate citizen that Brooks is, but also what the medical industry — the expertise — it’s known in Jacksonville, but it’s also kind of a secret. I don’t think people realize how deep the knowledge and expertise is right here in our city and today demonstrates how real that is,” he said. It’s not clear at this time how much the 60-week treatment intervals will cost, but a company rep says insurance is unlikely to cover the treatments. You can read more about how HAL works at Cyberdyne’s website. 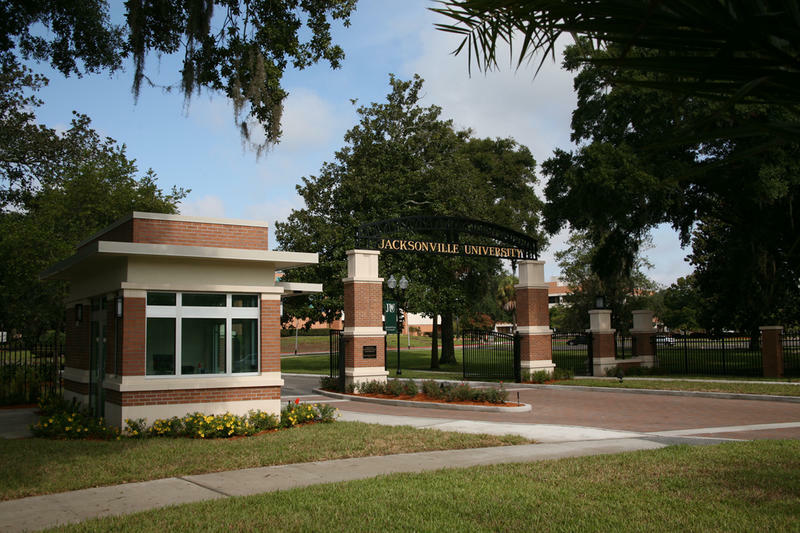 Jacksonville University’s College of Health Sciences has partnered with Brooks Rehabilitation, which provides specialized care to rehab patients. The college has been renamed the Brooks Rehabilitation College of Healthcare Sciences in honor of the center’s donation of $4 million over several years. 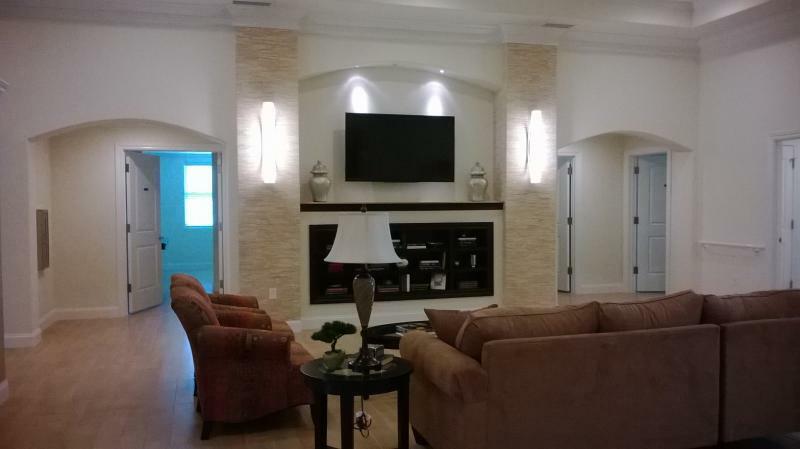 The Green House Residences at the Brooks Rehabilitation Center in Jacksonville are not filled with plants, but as of last week, they are fostering a new type of nurturing and growth. The pair of houses were built at Brooks so that seniors suffering from dementia and Alzheimer’s Disease could feel more at home.